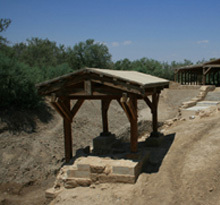 Drive towards the Jordan Valley to visit the Baptism Site, Bethany Beyond the Jordan. 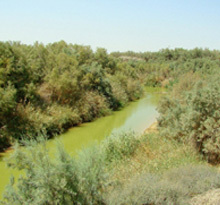 Bethany, located on the east bank of the Jordan River, is recognized as the place, where John preached and baptized Jesus. On Epiphany in January 2000, more than 40,000 people celebrated here a mass, and also the Popes John Paul II and Benedict XVI had been here for worshipping. Beside the baptism site you see remains of Byzantine churches and baptism pools. 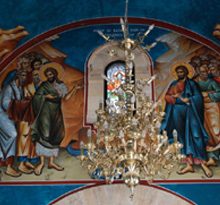 You will also visit Elijah's Hill, where according to the Bible Elijah ascended to heaven in a chariot. Short drive to Dead Sea Beach where you have the chance to float on salty waters at the lowest point on earth. Return transfer to Amman hotel. ● Entrance fee Dead Sea Spa Hotel Beach Use. The entrance fee to Dead Sea Beach does not include a towel.